After Pawel’s shower he grabs some breakfast and chats with Rosabelle. Today is Rosabelle’s day off so she wants to get all prepared to go collecting around the neighborhood while Pawel is at work. Unfortunately the refrigerator broke this morning when one of them was getting breakfast. This a very serious problem for them, Rosabelle doesn’t have any handiness skills and she is afraid that Pawel will electrocute himself if he tries to repair the fridge. It is also too expensive for them to just replace it either. 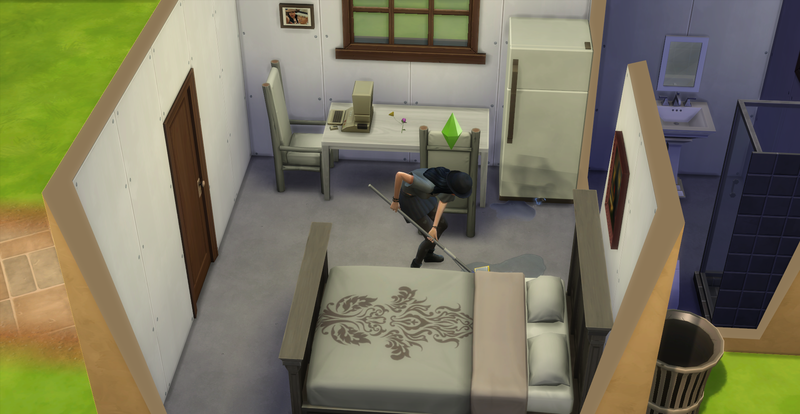 Because of this Pawel leaves for work tense from the mess of the broken fridge, he is a neat sim. 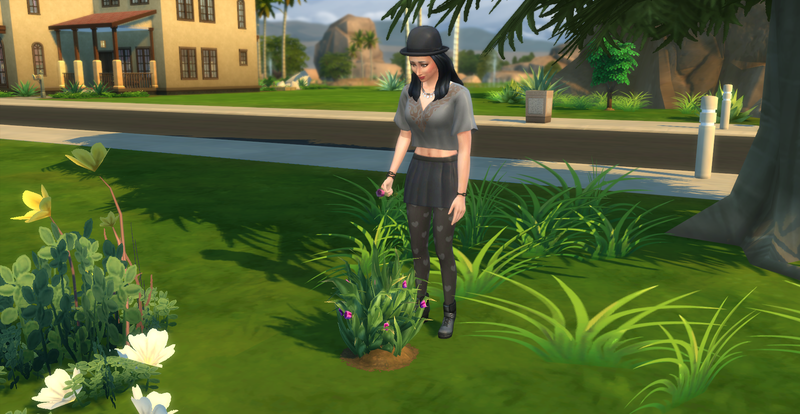 While Pawel is at work, Rosabelle goes collecting around Skyward Palms. Here is an overview of the Skyward Palms neighborhood. Rosabelle starts her collecting run from the left of her house and circles around by the larger pond then crosses the street to the other side and finally ends right behind her house. She harvests many plants today. 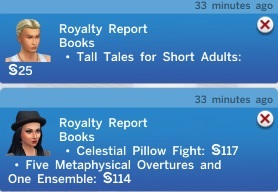 The Royalty Report also come while Rosabelle was out collecting. Funds are now §5339, Luckily with all the collection value and the Royalty Report they have enough money to replace their fridge instead of trying to fix it. When she gets home, Rosabelle mops up the puddles from the broken fridge and replaces it with a new one. Afterwards, Rosabelle begins a new non-fiction book called The Fox of Park Avenue for her daily work task. She finishes the book and makes a copy for §74, funds §5077. 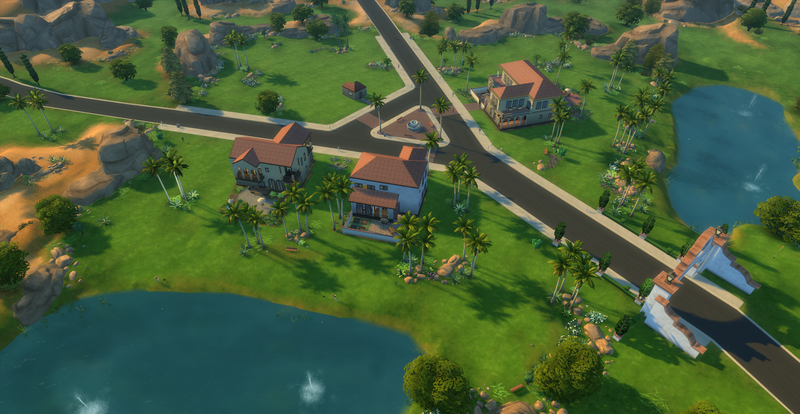 Pawel returns from work with §200 simoleons, their funds are now §5277. He is hungry and tense from lack of fun. He eats some yogurt and then tries to make himself feel better. He plays Sims Forever on the computer while Rosabelle also eats some yogurt. They relax and Pawel plays on the computer for a while, then they both go to bed. Pawel gets up in the middle of the night to pee and the toilet breaks. When it rains it pours doesn’t it. Pawel goes back to bed, he will deal with this particular problem in the morning, but he is beginning to agree with Rosabelle ancestors, the number 13 is not a lucky number for this family. Check back soon for Week 2, Day 14 – The End of Week 2!